Worldwide, the incidence of tuberculosis (TB) has declined by over 30% since 1990; however, TB in India is prevalent and on the rise. The alarming news is that it is not the type of TB that can be successfully treated with antibiotics, but rather it is a Multidrug-Resistant (MDR) TB form, which is more difficult to eliminate with current antibiotics. In most cases, TB is caused by a bacterium called Mycobacterium tuberculosis. These bacteria usually attack the lungs, but could potentially infect other organs as well. Individuals diagnosed with TB should normally undergo treatment for several months with different medicines until the infection is completely removed. 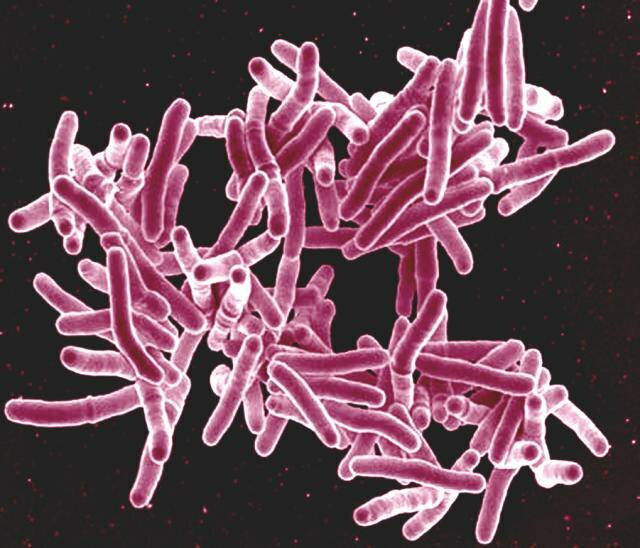 Why are TB and MDR TB on the rise? TB is known as a disease of poverty because it typically infects poorer communities due to their lack of basic health services, nutrition, and sanitary living conditions, all of which contribute to the spread of TB. India is home to the third-largest population of people living with the human immunodeficiency virus (HIV). HIV attacks the immune system, and TB is the most common opportunistic infection in the HIV-positive population in India, according to an article published in the New England Journal of Medicine by Dr. Steinbrook. o The lack of well-qualified and accredited laboratories. o The slow diagnostic tools - TB patients can spread the disease during this time, and MDR TB patients can die before given the appropriate treatment. o Scarcity in medicine - MDR TB treatments are more toxic, expensive, and extensive. o A shortage of trained medical workers. o Unavailability of equipment to test for TB drug resistance. o Infected patients having short hospitalizations due to their unwillingness to stay isolated for more than a week. Why the increase in MDR TB? Two drugs have served as the standard TB treatment since 1960 (isoniazid and rifampicin). Repeated use of these drugs in treatment, in combination with patients not completing the recommended course, could have resulted in the emergence of MDR-TB. o When a bacterial population is exposed to antibiotics, some of them can survive and grow. This is normal, but the rate at which it occurs can be exacerbated by improper treatment, misuse, and mismanagement. Improper treatment: only about 16% of patients with drug-resistant TB are receiving the appropriate treatment regimen (WHO report, 2011). In 2010, The World Health Organization approved a new TB test that is quicker and provides information on drug susceptibility; these were lacking in the older test version. The establishment of more qualified, accredited laboratories to properly and quickly diagnose TB, measure drug-resistant TB, and transport samples. In about half a century, there have been no new first-line TB drugs developed; however, as of 2011, there are eleven TB drugs in clinical trials with promising results of shortening and improving the treatment of drug-resistant TB. The airborne infection needs to be controlled, for it is crucial in preventing person-to-person spread; needs to reduce health workers’ risk. Not only is it important to provide the appropriate medicine, but also counseling patients and relatives because of how extensive the treatment is. Extensively drug-resistant TB (XDR TB) is now surfacing in India, along with an incurable form of TB. Thus, in order to decrease the prevalence of TB and MDR TB, it is vital that the Indian authorities understand the seriousness of the matter. Immediate steps should be taken to curb the spread of the disease.